How to display data in a webpage? 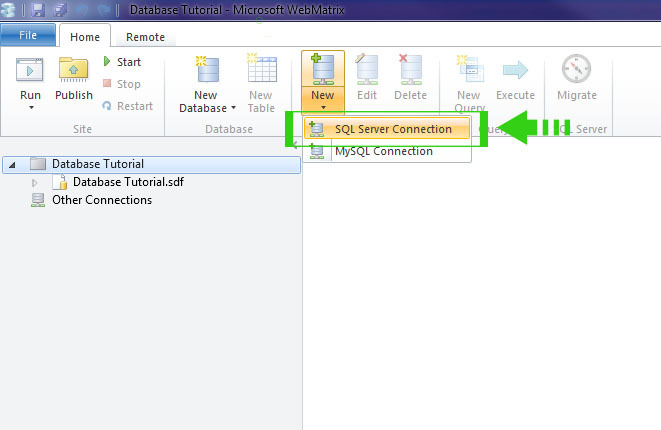 In this tutorial we will use local database file (.sdf) and sql database file(.mdf) for demonstration. 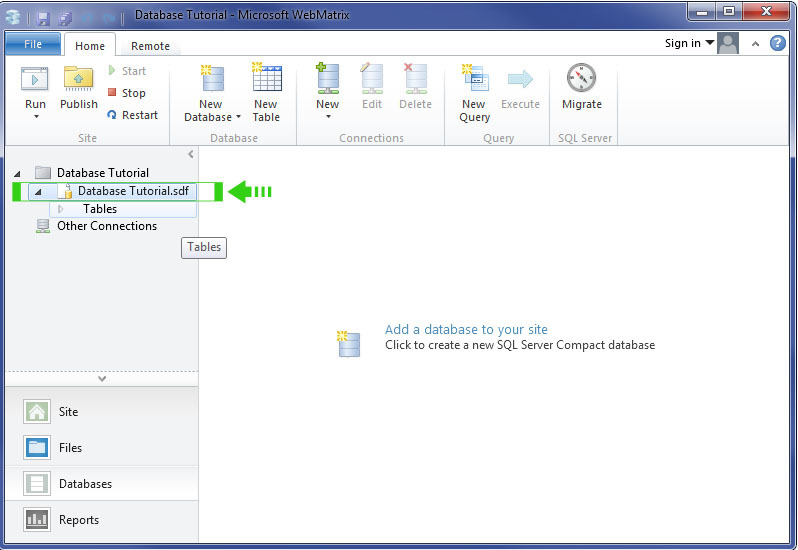 Step 1 Launch WebMatrix and Create a New Project "Database Tutorial" with Empty site. In the left Pane click Databases and then click on Add a database to your site. Step 2 As you will click on Add a database to your site, you will see that a new database with the same name of your project is created in the left pane. Step 3 Now, create table. Right click on Tables in the left pane under the database name and select New Table. 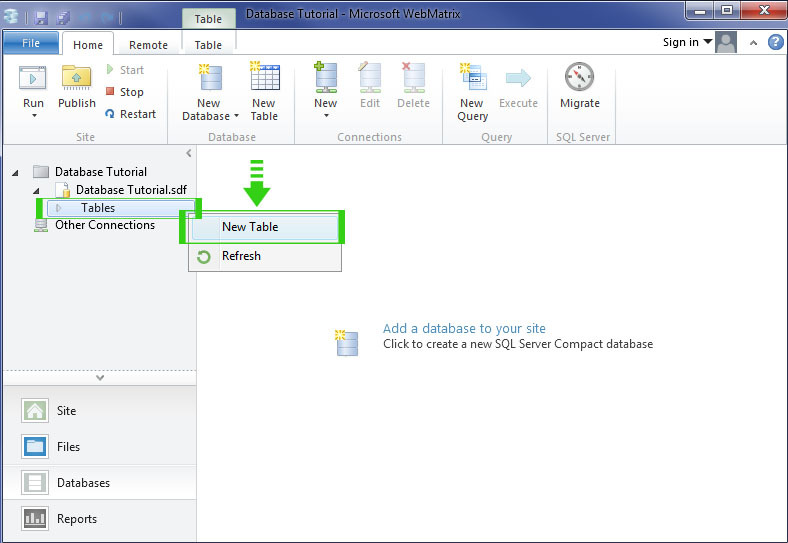 Step 4 Now create table with following configuration and give the table name Library. Press Ctrl + S to save the table. Step 5 Add some demo data to table. Right click on your table Library and Select Data. Step 6 Add some demo data in the table. You have seen how to work with local database file in webmatrix. You are a .Net Developer and most of the time you need to connect with SQL Database File. 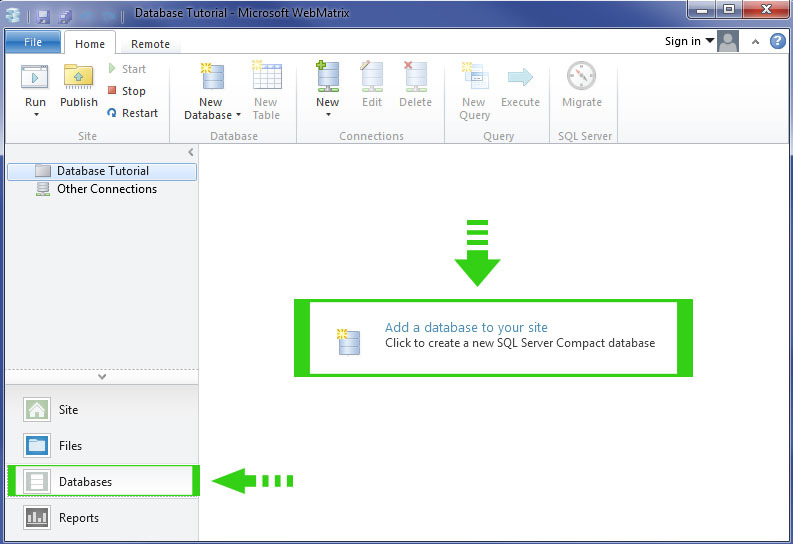 In this section I will show you how you can connect with SQL Database File (.mdf) in Razor. All the processes are same. 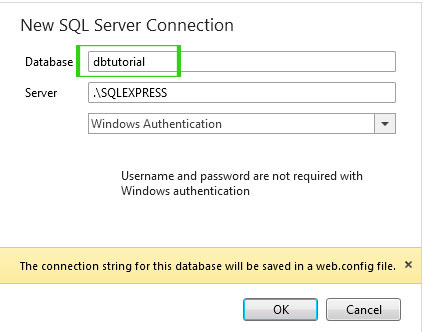 I assume that you have already a SQL Server Database file in SQL Server. You just need to make connection with database and you are ready for working with database. Step 1 Select Database in Left Pane. 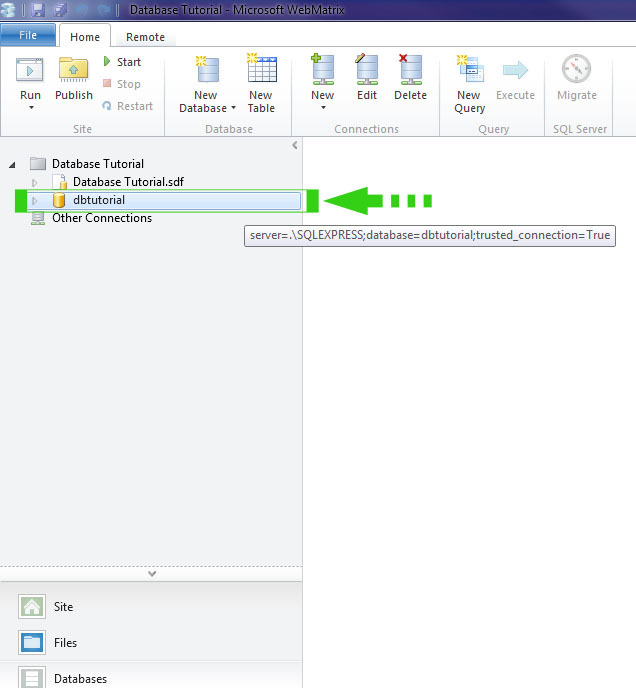 Step 2 Click on New > SQL Server Connection in Home ribbon. 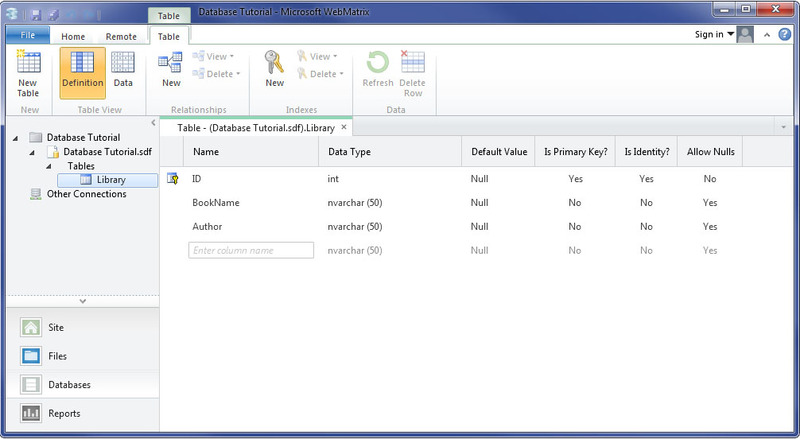 Step 3 Give database name in Database Text Box. Select your server ( .\SQLEXPRESS) is default and you not need to change. Select Authentication Mode. Choose between Windows Authentication or SQL Server Authentication. In this chapter you learned how to connect and create database using razor syntax. 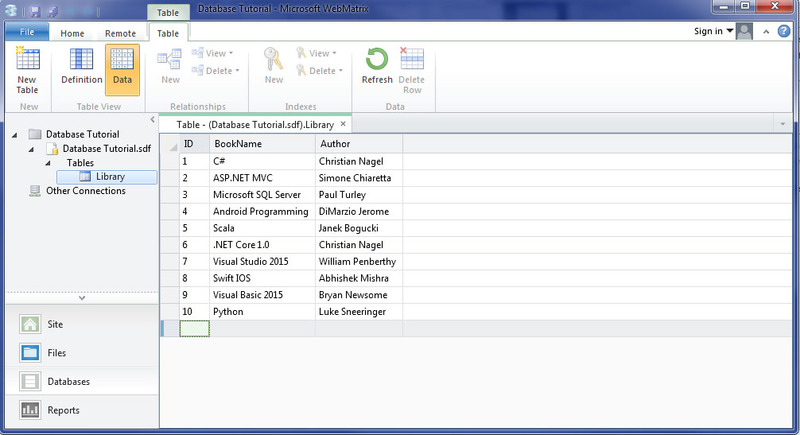 In the next chapter you will learn Insert, Update and Delete data using razor syntax.